Weight Watchers coupon is a new coupon available at Save.ca. Select the coupon, and click on ‘Get my Coupons’. Create an account with Save.ca, and claim your coupons. You will receive your coupons within 1-2 weeks from ordering them. 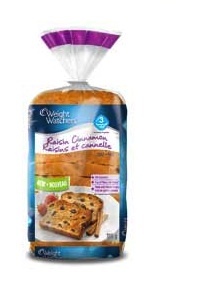 This is a Weight Watchers coupon to Save $2 on 2 Weight Watchers bakery products. Weight Watchers coupon is valid only in Canada. You can find Weight Watchers bakery products in any supermarket, grocery store, Walmart and more. Our tasty 100% whole-wheat bread, multigrain bread, white bread and 100% whole-wheat deli rolls give you the delicious options you’re looking for to help you meet your weight-loss goals! Low in PointsPlus® values but full of great flavour and plenty of good-for-you fibre each tempting variety makes it easier than ever to fit the meals you love into your healthier lifestyle.